I always love buying the muffins made from a bakery at the local Winn-Dixie. But that can get a little pricey so I decided to find a recipe online that would be easy to make and would be yummy as well. I think you are going to enjoy these! Here’s what you need. 1. 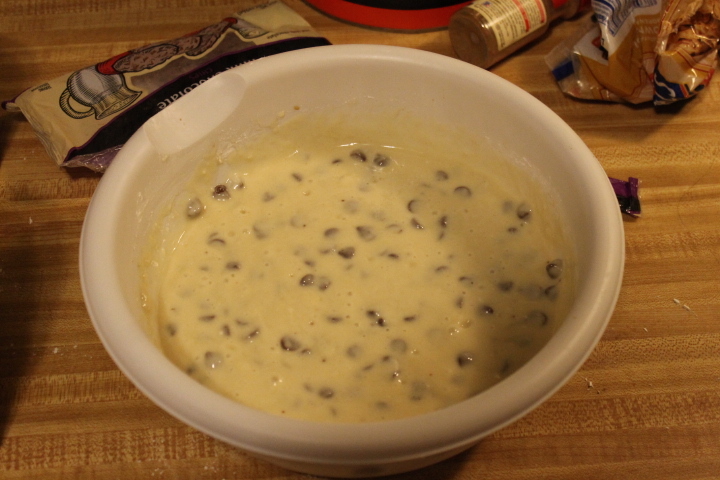 Combine flour, 1/2 cup sugar, baking powder, salt, milk, vanilla, oil, egg, and chocolate chips in bowl and mix well. Preheat oven to 400 degrees. 2. 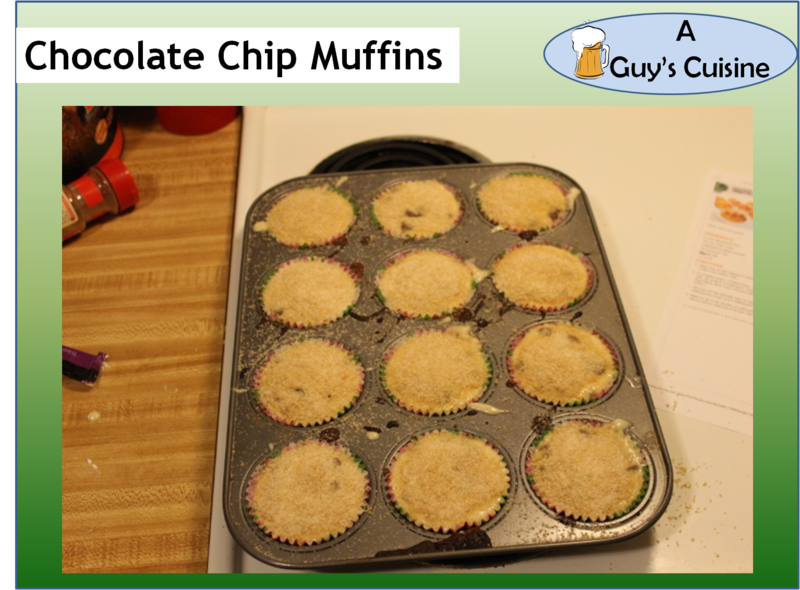 Grease muffin pan or use paper baking cups and fill 2/3 full. 3. 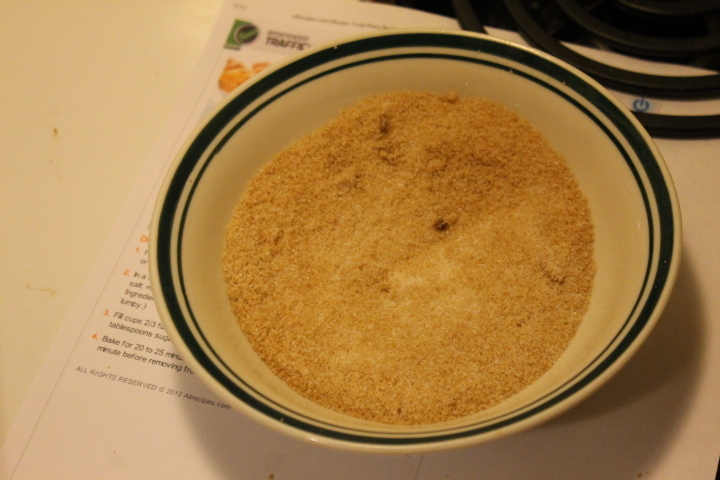 Combine 3 tablespoons white sugar and 2 tablespoons brown sugar in small bowl. 4. 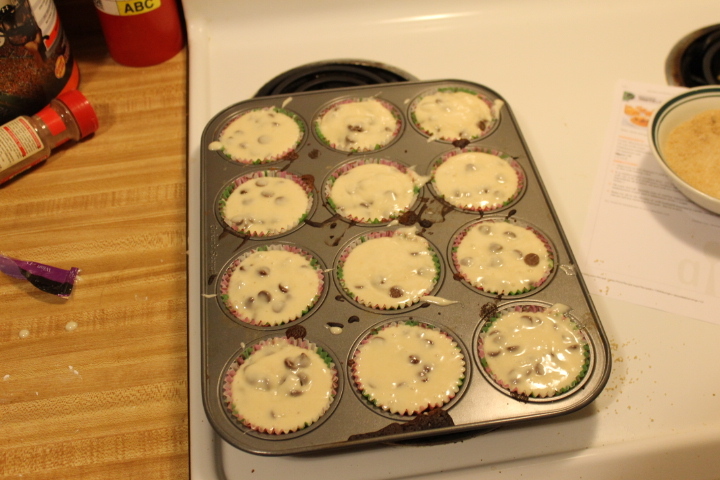 Sprinkle tops of muffins with sugar mixture before placing in oven. Bake for 20-25 minutes at 400 degrees. Then insert toothpick in middle to make sure they are done. 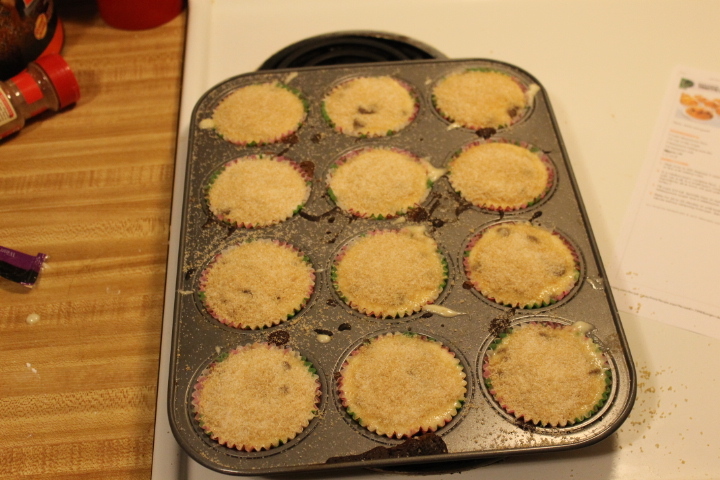 The muffins were very good and the sugar mixture on top was good as well. 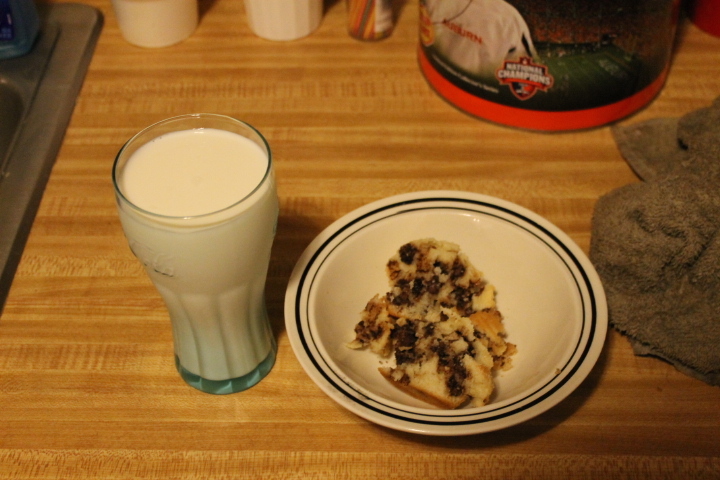 Enjoy making these at home and I am sure the kids will enjoy these as well!